Wednesday will remain dry with some lengthy clear periods. However, it may turn misty in places by morning. Winds will become gentle. Thursday will be another dry day. Any early mist will soon disperse, leaving periods of sunshine and occasional cloud. Quite mild with mainly gentle winds. Jersey's emergency services rushed to Gronez after reports a vehicle had gone off the cliffs, but it turned out to be a false alarm. A passer-by called the police after seeing a moped at the bottom of the cliffs just before midday. Fire, police and ambulance personnel were sent to investigate, but it turned out the moped had been there for a week. Police said it had not been removed yet because it was in a difficult position. People in the Channel Islands will be able to fly direct to Cornwall this summer as a new service is launched. Blue Islands announced today it will operate three times a week starting on 3 June. Flights will start in Guernsey with a short stop in Jersey before continuing to Newquay Airport, it said. Rob Veron, CEO of Blue Islands said the route network provides the "most convenient access to this stunning part of the UK direct from the Channel Islands". There will be diversions around Gorey in Jersey during weeks of roadworks. The work on the coast road is due to start early next month at the hairpin bend and will continue in sections towards Beach Road. The sections will be closed during the week from 08:30 until 18:00. There'll be no parking along Gorey Coast Road during the work. Buses will stop at the Longbeach car park and there'll be shuttle buses to Gorey Pier and St Catherine. There'll be signs for one way systems which the organisers hope will keep the roads safe and free of traffic. The work is expected to finish by 22 March depending on the weather. There is to be a review of parking in St Helier. A recent report into shopping habits in Jersey called for easier parking for shoppers to encourage people to come to town. The minister in charge, Kevin Lewis, said he would look at whether free parking, more policing of spaces and charges influenced people's decisions. He is expected to report back by the end of September. 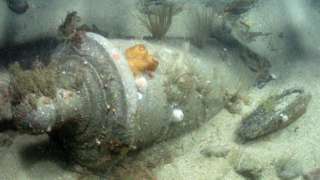 Guernsey Electricity says it is looking at replacing one of its undersea cables connected to Jersey. The company said that "following detailed investigations", it had concluded the best course of action to "return the island to a more secure and affordable supply of electricity" was to "replace the current sub-sea cable named GJ1, which links Guernsey to France via Jersey". Guernsey suffered several power difficulties last October involving undersea cabling, causing island-wide problems. Chief Executive Alan Bates said the decision followed a comprehensive examination of the condition of the cable "which identified inherent design and manufacturing issues". He said the utility was "looking to replace the cable, rather than conduct further very expensive repairs". There are no signs yet of costs, but it seems clear that customers will be paying more for electricity in at least the short-term. Jersey's economic development minister will look into changing the rules for people who let out their homes to holidaymakers. The government says there are more than 100 properties available on the Airbnb website, but owners only need to register if they allow more than five people to stay at once. Other laws surrounding income tax and health and safety still apply. The law on holiday rentals is more than 70 years old, and Senator Lyndon Farnham says he will meet with the housing minister and assistant chief minister to look at updating it. 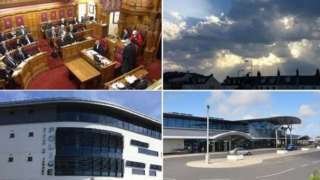 A Guernsey campaigner for assisted dying says Jersey's decision to investigate the issue has made Guernsey's ruling not to even more galling. Sarah Griffith, who gave advice at the start of Jersey's campaign, believes if legislation was worded differently last year, more Guernsey deputies would have voted in favour of it. Earlier this week, ministers in Jersey agreed to commission research into the options for assisted dying in the island, just months after their Guernsey counterparts decided against the same move. Ms Griffith believes Guernsey "missed the boat" and says if deputies understood they were only being asked to approve investigating the implications of assisted dying, it may have changed the vote. A generally dry and bright day ahead with spells of sunshine but also some banks of cloud. Quite mild with a moderate southerly breeze.